The enigmatic entity known as Q remains one of the greatest mysteries of the universe, yet no one, perhaps, understands Q as well as actor John de Lancie, who has played Q on television for more than a decade. Now de Lancie and Peter David, the bestselling author of such novels as Q-in Law and Q Squared have joined forces to send Q on an unforgettable cosmic odyssey, told from the mischievous trickster's own unique point of view. The Maelstrom, a metaphysical whirlpool of apocalyptic proportions, is pulling all of reality into its maw, devouring the totality of time and space while bringing together people and places from throughout the universe. The Q continuum pronounces that the end of everything has come, but Q refuses to meekly accept the complete termination of all he has known. Defying the judgment of the continuum, he sets out to derail doomsday at whatever the cost. Q is joined in his quest by his young son, little q, as well as by two displaced Starfleet officers. Snatched from the USS Enterprise  by the inexorable pull of the Maelstrom, Captain Jean-Luc Picard and Lieutenant Commander Data have no choice but to accompany Q on a hazardous journey into the very heart of the vortex, where they will encounter wonders and dangers enough to render Q himself speechless. Almost. But can even Q, assisted by Picard, prevent the Universe as We Know It from literally going down the drain? I, Q is a wild and witty voyage through the secret soul of creation as only Q can tell it! The enigmatic entity known as Q remains one of the greatest mysteries of the universe, yet no one, perhaps, understands Q as well as actor John de Lancie, who has played Q on television for more than a decade. 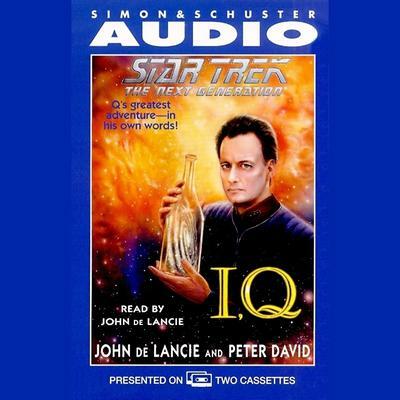 Now de Lancie and Peter David, the bestselling author of such novels as Q-in Law and Q Squared have joined forces to send Q on an unforgettable cosmic odyssey, told from the mischievous trickster's own unique point of view. The Maelstrom, a metaphysical whirlpool of apocalyptic proportions, is pulling all of reality into its maw, devouring the totality of time and space while bringing together people and places from throughout the universe. The Q continuum pronounces that the end of everything has come, but Q refuses to meekly accept the complete termination of all he has known. Defying the judgment of the continuum, he sets out to derail doomsday at whatever the cost. Q is joined in his quest by his young son, little q, as well as by two displaced Starfleet officers. Snatched from the USS Enterprise  by the inexorable pull of the Maelstrom, Captain Jean-Luc Picard and Lieutenant Commander Data have no choice but to accompany Q on a hazardous journey into the very heart of the vortex, where they will encounter wonders and dangers enough to render Q himself speechless. Almost. But can even Q, assisted by Picard, prevent the Universe as We Know It from literally going down the drain? I, Q is a wild and witty voyage through the secret soul of creation as only Q can tell it! 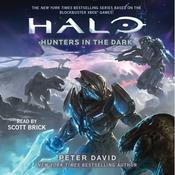 Peter David is famous for writing some of the most popular of the original Star Trek: The Next Generation novels, including Imzadi and A Rock and a Hard Place. His original works include the Arthurian novel Knight Life and the quirky werewolf story Howling Mad. 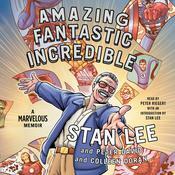 He single-handedly revived the classic comic book series The Incredible Hulk and has written just about every famous comic book superhero. He collaborated with J. Michael Straczynski on the Babylon 5 comic book series, and with Bill Mumy, he created the Nickelodeon television series â€œSpace Cases.â€ In his spare time, he writes movie screenplays, childrenâ€™s books, and television scripts.